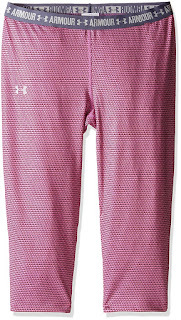 This is a great deal on Girls' Under Armour HeatGear Armour Printed Capri Pants at $12.05 (Retail $34.95). Prices vary by size and style! Free Shipping on orders $49+ or with Amazon Prime.